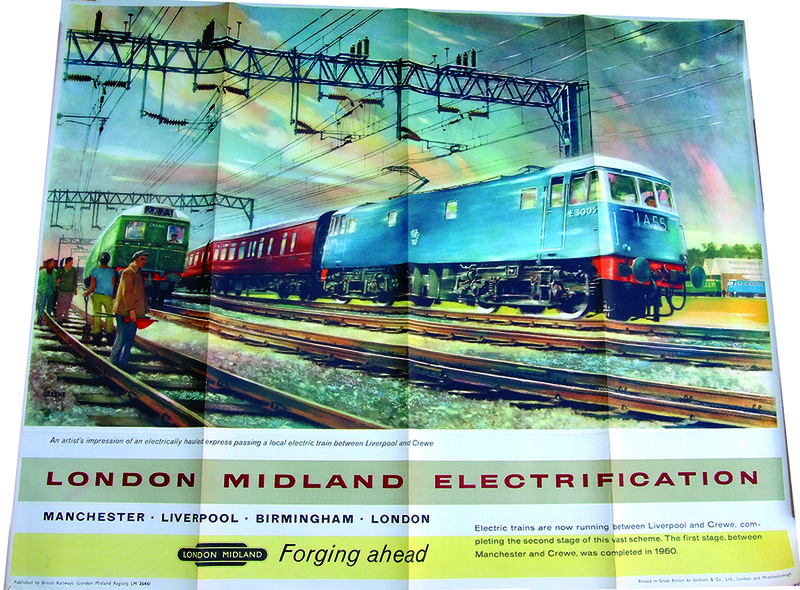 Poster 'Forging Ahead - London Midland Electrification' by Greene. Q/R size depicting blue electric E3005 with maroon coaches, passing an electric suburban service. Published by British Railways London Midland Region and printed by Jordison. A vibrant poster with slight edge tear left margin and folds.